A "domain model" visually represents the Who describing your product. The domain model is a dictionary that shows relationships between people and systems and abstract ideas. It offers a useful way to spot patterns, errors and omissions. Domain models help you break-down ambiguity. They become the dictionary we use to express more complex ideas, such as workflows. The domain model shows the Who of our new product; these are the physical and abstract nouns we identified in our stream of consciousness exercise. We use a "Has A" relationship to show aggregation, that one part belongs to another; and, an "Is A" relationship to show generalization, that one part is a specialization of another. In this way, we can visually represent through boxes and lines the same information that is present in 10s of pages of writing. You will see these relationships in the diagrams below, where "Has A" is represented by a diamond-ended line and "Is A" by an arrow. Pencil and paper is the preferred way to create simple domain models if you are just starting out. As your needs become more sophisticated, specialized UML software such as Enterprise Architect from Sparx Systems becomes a useful (but over complex) tool. Let's explore some examples using SOFIns, my most recent venture. A User has a Control Agent. There are two types of Users: a Recipient and a Sender or Owner. A Recipient can have a Control Agent that is called a Foreign Agent. An Owner/Sender can have a Control Agent that is called a Shared Agent. Recipient has a Foreign Agent; and, Foreign Agent is a Control Agent. 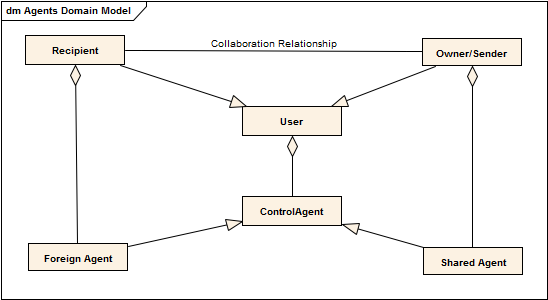 SOFIns Domain Model for Agents and Users. What is simpler to understand, the textual representation of Users and Control Agents described in the yellow box above or an illustration that has symmetry? You may not understand the technical system I built, but you can identify the simpler representation of the same Who relationships. My SOFIns service is able to take control of a remote computer, even when that computer does not have an operating system installed or functioning hard disk drives. There are many parts involved in achieving this technical feat. It is very important that I describe Workflows using consistent, well defined terms. It is equally important that my developers understand these terms. Here is how I defined the physical and abstract objects (the Who of my service). 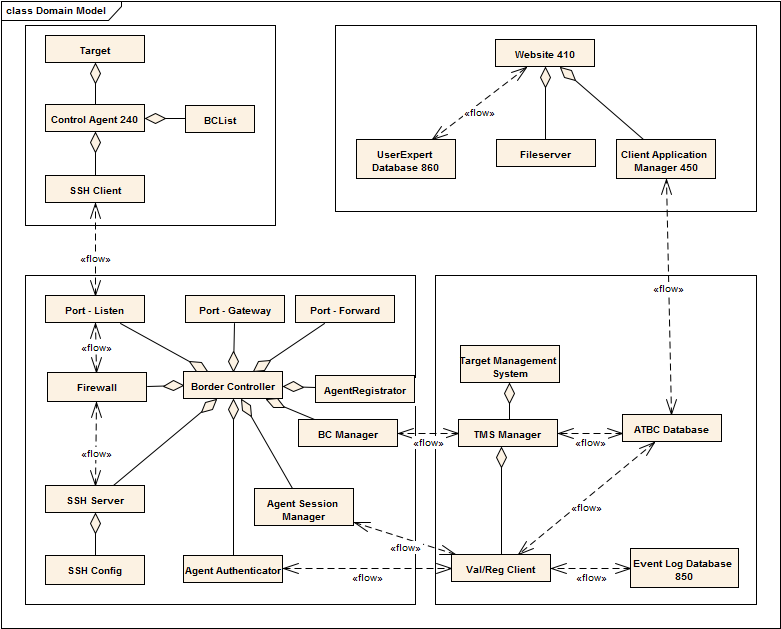 This diagram started as a simple relationship between four major components and evolved as more specialized objects were identified in the course of refining the workflows. The diagram below is anything but ambiguous. Complex? Yes. Ambiguous, no.